According to the ABI, in the United Kingdom, fake claims last year topped £1.3 billion. The Association of British Insurers (ABI) has now revealed its latest figures regarding insurance fraud, which have shown that last year bogus claims exceeded £1.3 billion, breaking records from previous years. The vast majority of that total amount came from false or exaggerated claims made on auto policies. The ABI also pointed out that insurance fraud throughout the industry – not just in the auto sector – has been on the rise at a startling rate, and that it has now reached its highest rate, following a growth of 18 percent, last year, when compared to the figures that were collected in 2012. The insurers, themselves have detected a massive number of claims that have been entirely faked or that have been exaggerated over the truth. The number of claims that involve insurance fraud have reached a striking rate. In total, last year, insurance companies detected about 118,500 claims that were false or exaggerated. That worked out to about 2,279 every week for the entire length of the year. 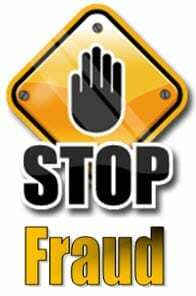 The average amount of fraud that was detected throughout all of the various fraudulent claims, last year, was £10,813. Overblown or entirely falsified auto policy claims were both the most common and the most expensive, last year. The total in that sector was estimated to be approximately 59,900 claims, which was an increase of 34 percent over the figure from 2012. Moreover, the cost associated with the claims also rose, having increased by 32 percent over the previous year, to reach a total of £811 million. Within the auto category, one of the biggest contributors to the totals in the ABI report was from the “crash for cash” schemes. Here, unsuspecting drivers found themselves in accidents when fraudsters smashed right into them so that they could make a claim for injuries and damage. The total estimated exposure to insurers from those scams, alone, was estimated to be £120 million. At the same time, though, the report showed that insurance fraud in the property sector dropped by 38 percent from having been £137 million in 2012.